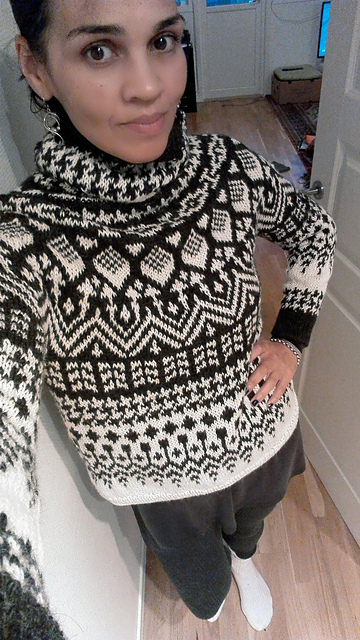 I made up this jumper. I'm not sure ow where the inspiration came from. 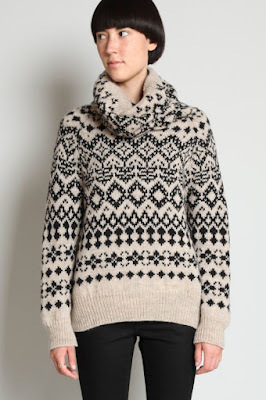 I remember that I did initially want a mofit on the front, using intarsia, but I didn't think about the problem of knitting intarsia in the round, so it failed. The next step was to fond inspiration for a pattern that was carried through the whole piece. 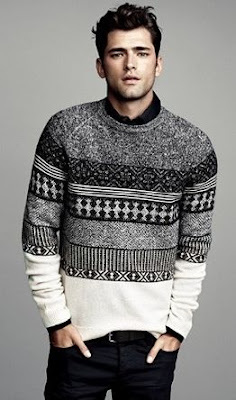 I made a Pinterest board with the material I found, with the main source being these two jumpers. I wanted it to start black and slowly transition into white. Another 'failure' is that I used my standard 5mm needles, which I always use on 4mm yarn because of my tension, but the result here is that the fabric looks like I've used the wrong size needle. Loopy. 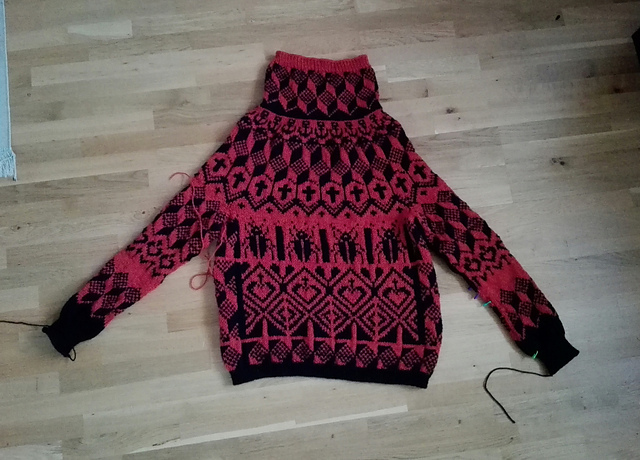 My daughter really loved the jumper in the picture on the right above mine, so I decided to knit one for her, making the pattern up and using a more suitable yarn. I used Lima, by Drops, which behaves much better, and isn't as fluffy. 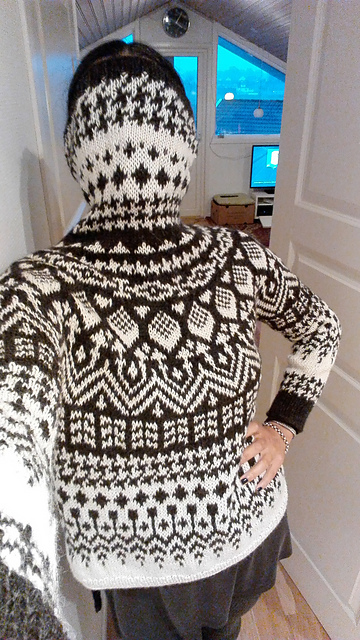 While the other jumper took ten days, this one took 30! It was larger, but mainly the colours are not my colours and it felt very heavy and dark. So heavy, in fact, that I knitted the second sleeve using a provisional cast on, so I could knit it on its own and graft it on (using Kitchener stitch) once it was done. That worked really well and I will definitely use the method again! The main lesson I learned in this process is that I need to knit with colours or colour combinations that make my heart sing. If this jumper had been in orange and white, or yellow and black, I think I would have found the process a lot easier.